Fresh Fiction Blog | A reclusive, alpha artist… why is Martin Blake so appealing? A reclusive, alpha artist… why is Martin Blake so appealing? In an early version of the STATIONMASTER'S COTTAGE, a beta reader convinced me to change my brooding hero into a nice boy-next-door, because women no longer want alpha males. He was good looking and charming. And boring. It didn't work, of course, and Martin returned to his rightful self. Martin Blake is a complex character, the dark opposite of Christie Ryan. She sees the best in people and only the worst if it is forced on her. He'd rather keep to himself, with his dog, Randall. But, Christie needs something from him and won't let go until he helps her. There is a deep, underlying loneliness in Martin that even he is not aware of. His abstract paintings are as difficult and layered as he is. He is quick to pigeon-hole Christie as a rich, city girl and ignore the overwhelming attraction they share. He struggles to help her because the secrets of the past are protecting someone he loves. One reviewer called him domineering. He isn't. He is bossy at times, but never overbearing. Respect matters, but he insists it goes both ways and when he messes up, is harder on himself than anyone else could be. 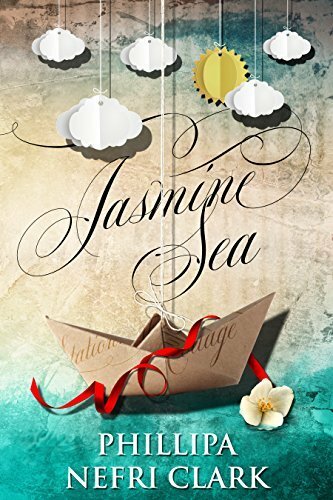 In the sequel, JASMINE SEA, Martin is a man in love. This heightens his need to protect the woman he wants to marry, even when she insists she doesn't need him to. Their conflict as they find a perfect balance is put under extreme pressure when danger surrounds Christie. I believe that what makes Martin so appealing is inner strength, his trust in his instincts, and a touching vulnerability when love is involved. Jasmine Sea brings out the best in this alpha male, and I would love to hear what you think of him. Starting over never felt better. Christie Ryan adores the little cottage she's renovating, the seaside town that embraced her, and Martin Blake, the man she longs to marry. Ex-fiancé Derek Hobbs is finally out of the picture, and there are no more secrets in her life or mysteries to solve. Phillipa Nefri Clark grew up around lonely Australian beaches with wild seas and misty cliffs. From a young age she wrote stories and dreamed of being a writer. There were many detours along the way as she trod paths as diverse as a travelling sales rep to singing and acting. Fascinated by film, Phillipa wrote five feature length screenplays, one which was optioned. Now living in regional Victoria on a small acreage close to a mountain range, she markets the family business a few days a week and writes the rest of the time. 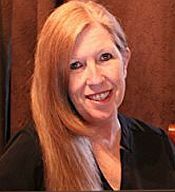 With nonfiction credits for specialist canine publications, she finally returned to stories with the release of The Stationmaster's Cottage, a dual timeline romance, in February 2017. Her great loves, apart from writing, are her family of two young adult sons and her husband, their Labrador, music, fine wine, and friends. One signed copy of The Stationmaster's Cottage by Phillipa Nefri Clark. Re: A reclusive, alpha artist… why is Martin Blake so appealing? I'd love to start reading your books. They sound like they'd be VERY good! This book sounds great. And I love the cover. Thanks for the chance to win. the cover very clever, too. love to read and review this book! Since I love anything to do with the sea, the cover really strikes me. My one bucket list item is to see the ocean again, has been so many years and I have dreams of returning. I enjoyed your blog and the cover is very attractive, appealing to those of us who enjoy the sea.